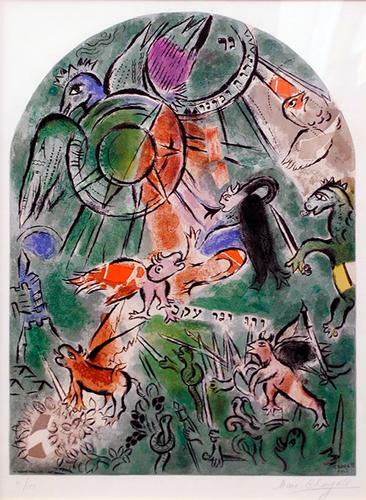 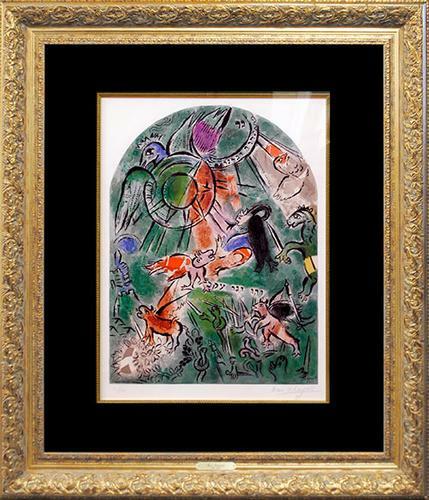 This is a rare original lithograph on wove paper by Marc Chagal from the acclaimed suite 'Jerusalem Windows'. 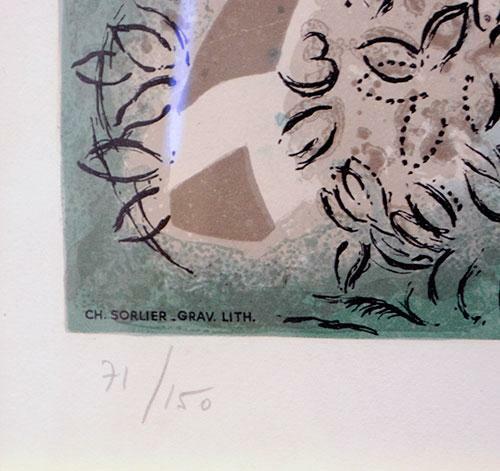 Published Mourlot Freres, Paris France in 1964. 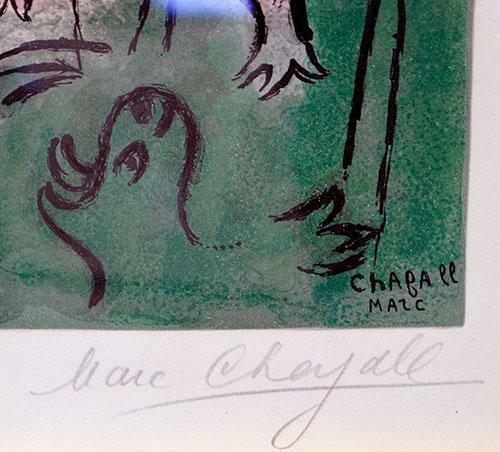 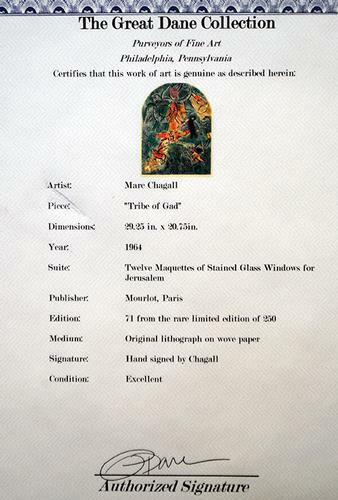 The artwork is hand signed by Chagall and it is from an edition of only 250.